Between 20 and 30 million people play fantasy football each year. 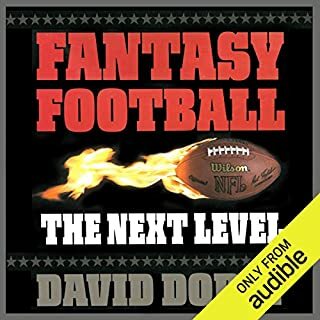 Now, Fantasy Football: The Next Level goes beyond stats and projections to teach readers a proven approach to drafting and managing a team that succeeds - in any league. Dorey's wealth of tips, tools and techniques - based on two decades of fantasy football expertise - will help experienced players and newcomers alike win their championships every season. Great source of information but somewhat outdated. Sports media superstar Clay Travis wants to save sports from the social justice warriors seeking to turn them into another political battleground. Having ruined journalism and Hollywood, far-left-wing activists have now turned to sports. Travis argues it’s time for right-thinking fans everywhere to put down their beers and reclaim their teams and their traditions. 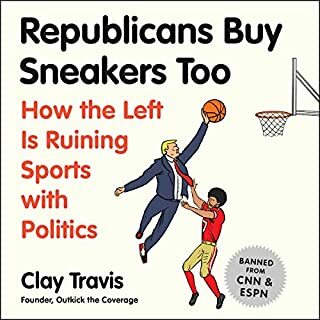 In Republicans Buy Sneakers, Too, he replays the arguments he’s won and lays out all the battles ahead. His goal is simple: to make sports great again. On September 11, 2001, Joe Maio went to work in the north tower of the World Trade Center. He never returned, leaving behind a wife, Sharri, and 15-month old son, Devon. Five years later, Sharri remarried, and Devon welcomed a new dad into his life. For thousands, the whole country really, 9/11 is a day of grief. For Adam and Sharri Maio Schefter and their family it’s not just a day of grief, but also hope. This is a story of 9/11, but it’s also the story of 9/12 and all the days after. Life moved on. Pieces were picked up. New dreams were dreamed. The Schefters are the embodiment of that. 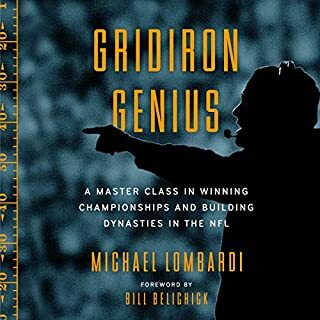 This strategy book encompasses everything you need to know to dominate fantasy baseball, basketball, and football. You will be walked through the fundamentals and gain a complete and thorough understanding of daily fantasy sports that will help you find success throughout the season. With the knowledge you gain in this guidebook, you will have the opportunity to make a steady profit season after season! Would you try another book from Matthew Berry and/or Matthew Berry? Would you be willing to try another book from Matthew Berry? Why or why not? What about Matthew Berry’s performance did you like? He is reading his own work and is a practiced speaker so it works well. This was fun but got a bit repetitive. Would only recommend if you are into Fantasy or want to know what the fuss is about. This book was not what I expected. 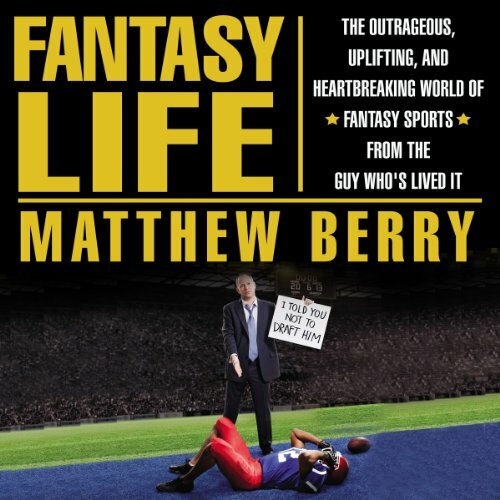 Yes it has a lot of goofy fantasy sports stories, but it has the autobiographical story of Mathew Berry. Nice to hear about someone chasing their dreams, never giving up, and achieve what they wanted but got more than they bargained for. 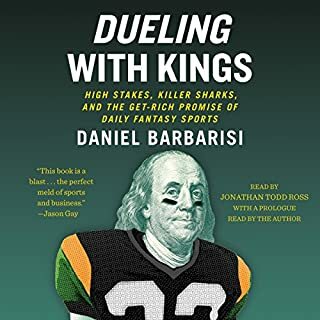 This was a fantastic book about fantasy sports and Matthew Berry is the best! Funny, real, serious, and knowledgeable. Well worth the read/listen if you are into fantasy. This book is great! It really inspires me to work in the fantasy sports world. I have always loved Matthew Berry's writing, but this took it up a notch! Inspired me to follow my passion as well! I love Matthew Berry and the fantasy podcast but this is just a collection of stories people have sent to him. It feels disjointed at times and I can't tell where one thought starts and ends. Not terrible. Just not for me. 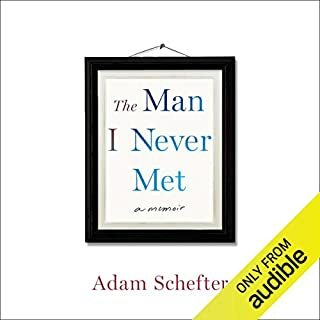 I love Matthew Berry and I love his stories on his podcast, I was surprised that so many of the stories he used were not fun or interesting. I really didn't think it was fun or funny that people make losers in their fantasy football leagues get terrible tattoos, etc. I also just don't care a whole lot about Berry's college leagues. Has Fantasy Life turned you off from other books in this genre? Not at all. If Berry puts out another book I'll give it a try. I think Matthew Berry is a good story teller, he has a good voice, you can tell he enjoys what he does and talking about what he does. No Squeezing of the Bitter Berry here! Would you listen to Fantasy Life again? Why? Fantasy Life is not a book about fantasy sports. You won't learn how to set your lineup correctly every week. You won't instantly learn how to become the next talented mr roto. But this part biography, part story telling book is full of entertaining paragraphs.. and a few pub to Matthew Berry's website (HEY! did Tell you about rotopass yet??? let me remind you). Exactly what you expect from Matthew Berry and more. They don't call him the prettiest girl in the bar for nothing. What other book might you compare Fantasy Life to and why? You tell me one other book thats half full of the crazy things people do in fantasy sports, and I'll tell you that you're Dwayne Bowe. Have you listened to any of Matthew Berry’s other performances before? How does this one compare? Matthew Berry is a co-host of Fantasy Football NOW on ESPN2 (Sundays before kickoff, check your local listings) as well as the podcast host of Fantasy Focus Football (no longer Baseball because of that weasel?). His personality is great with great advice, good talking skeels, and random bits of nonsense to get you through your day. Matthew isn't always vocal about his hard times between starting his fantasy websites and the strain on his first wife. Hearing it in a little more detail was very interesting to see the struggle. This was a perfect explanation of why I play and enjoy fantasy football. The weaving of Matthews personal narrative with the Collection of stories around the country provides insight to a game that is equally silly and sentimental. Thanks TMR. 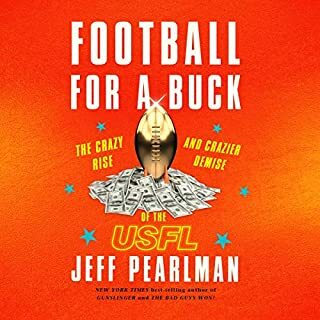 If you like fantasy football you'll love this book!!! Matthew berry is the king of all fantasy sports....KING.